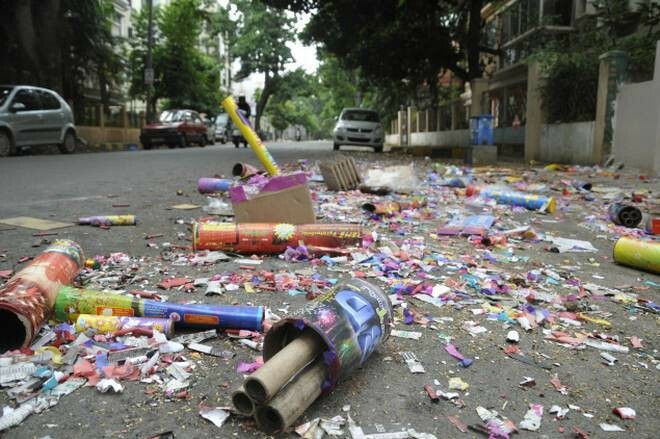 This article makes an attempt to present the extent of the damage done by firecrackers. This writing does not downsize the impact of emissions due to industrial, vehicular and agricultural practices, but lists firecrackers as one of the significant contributors towards air pollution. The writing is also not an attempt to hurt the beliefs and sentiments of any community but puts across the problem with fireworks in general. For a lot of people, firecrackers represent celebration and festivity—new year, Diwali, Dussehra, birthdays, marriages, political victory, sporting events and parties. A user in a Reddit thread says that firecrackers make people feel like wizards and magicians. They love the sound and the light. There’s a sense of power. For such transient pleasures, people spend enormous money—somewhat similar to paying for a relaxing spa, a good meal, concerts, books, and the like. As of 2016, the global firecracker industry was valued at $871M. The top exporters of Fireworks were China ($769M), the United States ($18.9M), the Netherlands ($14.7M), Spain ($10.7M) and Germany ($10.4M). The top importers were the United States ($373M), Germany ($118M), the United Kingdom ($29.9M), the Netherlands ($27.9M) and Japan ($22.4M). A largely unorganised industry with around Rs. 20,000 crores (US$ 2.7 billion) in terms of annual sales, an estimated Rs. 5,000 crores (US$ 0.68 billion) of which is covered by Chinese imports. Sivakasi (Tamil Nadu) is the biggest centre for firecracker production in India—roughly contributing to half of the firecrackers produced. Approximately 400,000 workers are employed in the factories here. India being the second largest producer of the firecrackers ends up using all of it domestically mostly during festivals whereas China, being the largest producer, is also the largest exporter. India’s exports are primarily to Sri Lanka. Read here about the brief history of firecrackers in India. It would take the entire lifetime of 5,000 trees to offset the 60,000 tons of carbon emissions produced in a single day of Diwali. Every hour of fireworks’ display means 120x strontium, 22x magnesium, 12x barium, 11x potassium, 6x copper in the environment. Some strontium compounds dissolve in water, and others can move deep into soil and groundwater. While low levels of stable strontium have not been shown to affect human health, the metal can be dangerous at high doses. The main health threat posed by non-radioactive strontium is for children, since it can impair their bone growth. Copper compounds aren’t very toxic on their own but it jump-starts the formation of dioxins when perchlorates in the fireworks burn. Dioxins are the unwelcome byproducts of certain chemical reactions, one of which happens in blue fireworks. The most noted health effect of dioxin exposure is chloracne, a severe skin disease with acne-like lesions mostly on the face and upper body. The World Health Organisation (WHO) has identified it as a human carcinogen, and it’s also been shown to disrupt hormone production and glucose metabolism. Barium is not known to be carcinogenic, but they can cause gastrointestinal problems and muscular weakness when exposure exceeds EPA drinking water standards. Symptoms may include vomiting, diarrhoea, breathing trouble, changes in blood pressure, numbness around the face, general muscle weakness and cramps. High levels of barium exposure can lead to changes in heart rhythm, paralysis or death. 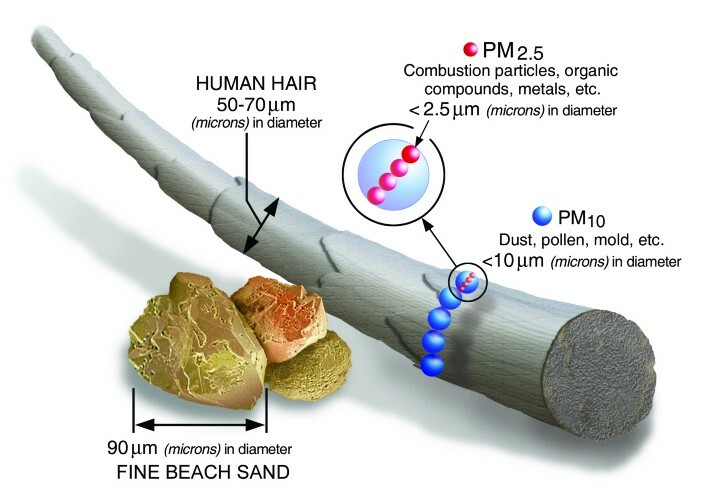 Particulate Matter (also, Particle Pollution, PM) is a mixture of solid particles and liquid droplets found in the air. Some particles, such as dust, dirt, soot, or smoke, are large or dark enough to be seen with the naked eye. Others are so small they can only be detected using an electron microscope (source). Particulate matter is also emitted during the combustion of solid and liquid fuels, such as for power generation, domestic heating and in vehicle engines. In 2017, the PM2.5 level in some parts of Delhi was close to 1,000 after Diwali. 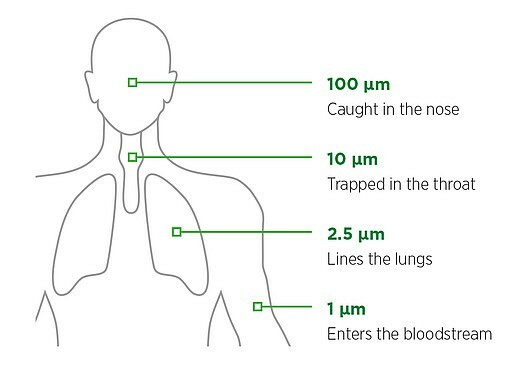 India has set a 24-hour mean standard of 60 µg/m³ for PM 2.5, while the WHO has a lower standard of 25 µg/m³. Some crackers (shown alongside) emit particulate matter 200–2,000 times the safe limits as designated by WHO. A research conducted from 2013–17 notes that Diwali leads to a small, but statistically significant increase in air pollution. It also found that Diwali, on average, leads to increasing pollution levels across all locations in Delhi. 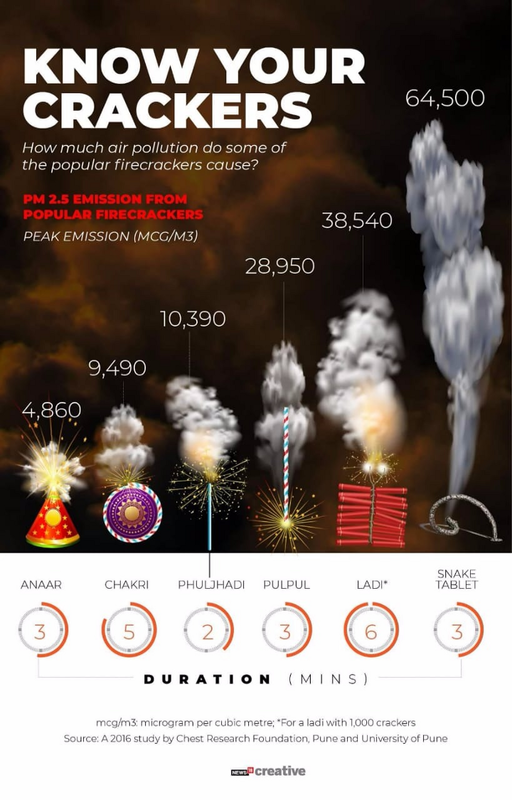 Over a period of two days, Diwali adds about 40 µg/m³ to PM 2.5 particulate concentration. While this number may look small in itself, it is high considering the already poor air quality around the time. 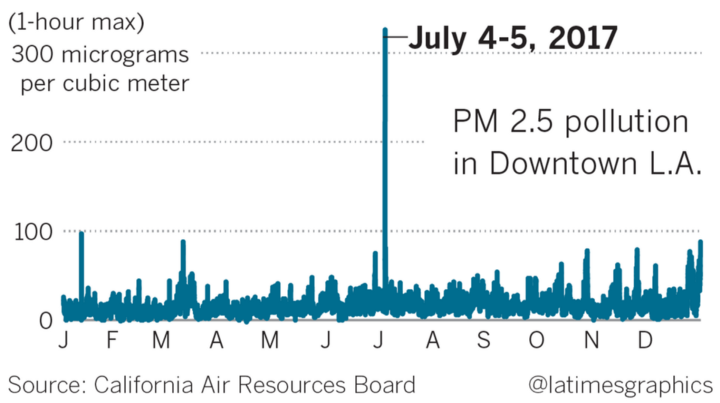 “It’s not just during the half an hour of fireworks; these particles float in the air for a few days or even a week,” quotes Jun Wu, a professor of public health at UC Irvine. The level of noise, where a person is in relation to the noise (distance to the noise), and the amount of time they listen to it can all result in risk for hearing loss. It is measured in units called decibels (dB). Anything above 70 decibels of sound over one night is associated with higher rates of hospital admissions for stroke—5% higher in people in the 25 to 74 age group and about 10% higher among those over 75. Prolonged exposure to sounds over 80 decibels can also lead to permanent hearing loss. The overall mortality risk also shoots up by 4% on noisy nights like those during Diwali. 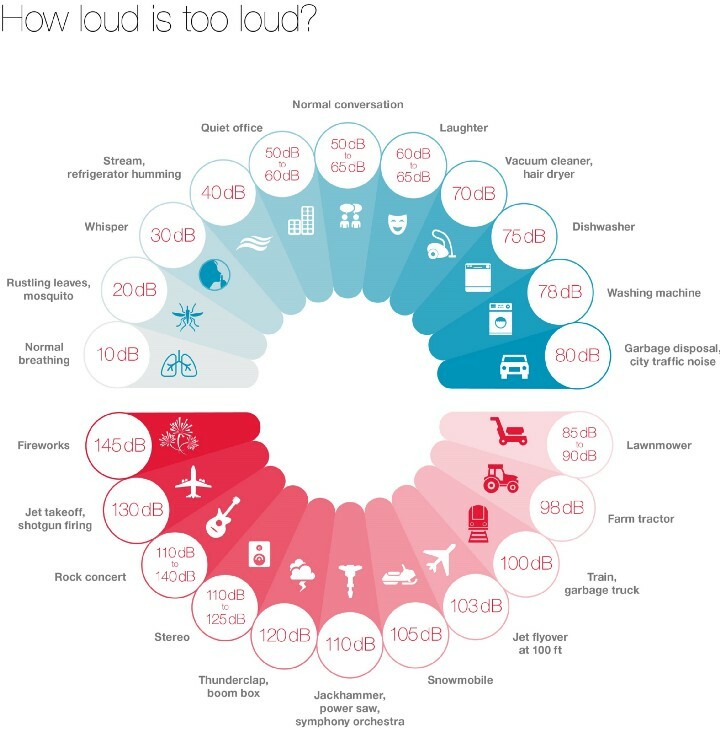 WHO recommend that adults avoid sounds louder than 140 decibels of maximum sound pressure. Fireworks and firecrackers can exceed 150 decibels. Proximity to the source of sound plays a role too. If you are right next to the blast, you are putting your hearing at risk. Post-Diwali, approximately 4,000 additional metric tonnes of garbage is released in Delhi alone, about twice the amount in Mumbai, 800-1000 tonnes in Bangalore and about 50 tons in Chennai. Toxic chemicals seep into the soil and lead to land degradation. 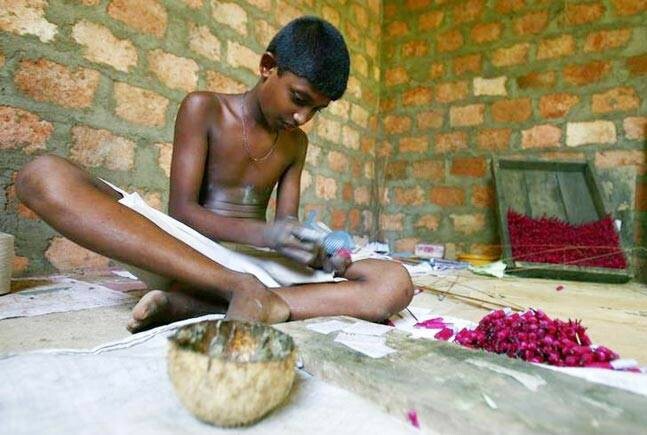 More than 80 million children are employed in the firework industry around the world; the majority being in India. Asthma and TB are prevalent among 90 per cent of them who are involved in gunpowder filling or are directly in contact with the chemical ingredients of crackers. We’ve discussed Child Labour in depth here. 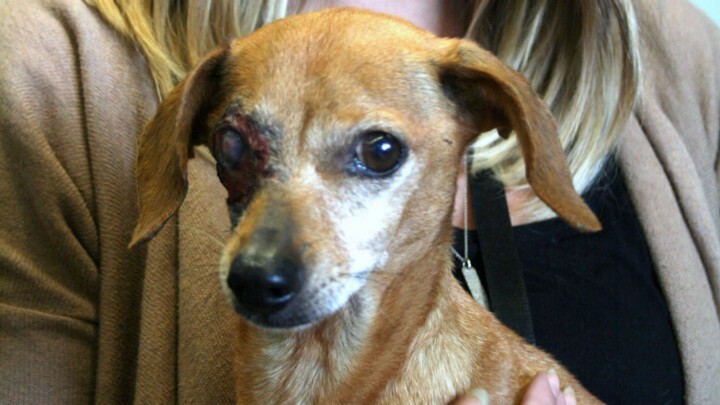 For animals at home or outside, it’s the most harrowing time. Sound, fire and light cause many birds and animals to receive serious injuries, deep-rooted, debilitating fears, or even death. Firework displays and celebrations bring confusion, anxiety, and fear into the lives of animals, causing many to run away from their homes in an effort to escape the frightening detonations. 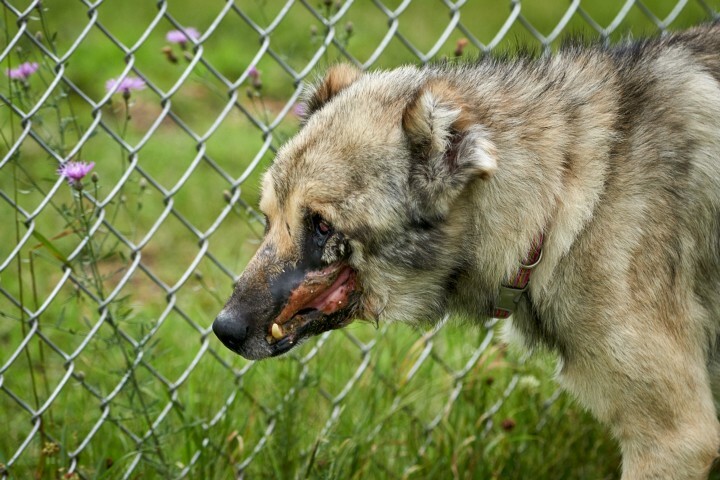 Numerous heinous acts of animal cruelty employing firecrackers have also been reported—people taping up an animal’s mouth with a firecracker inside it or tying crackers to their tails or backs. 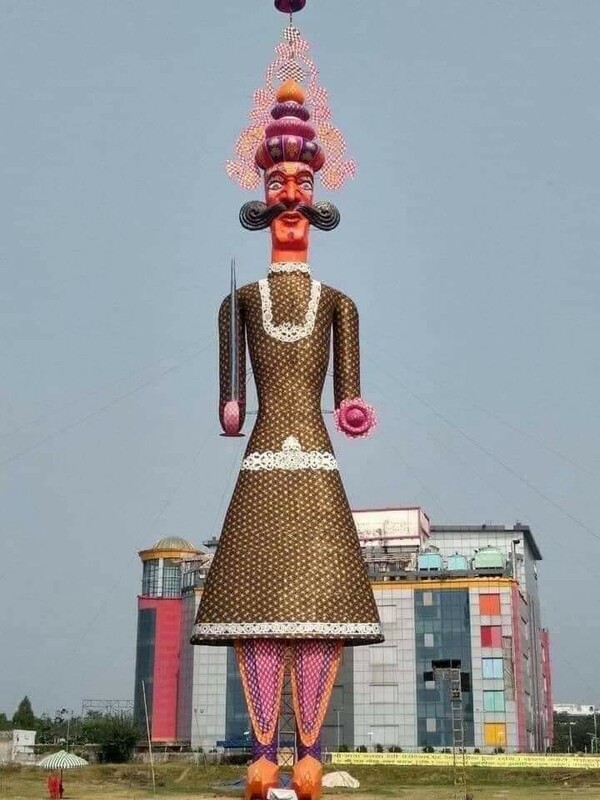 One of the inspirations for this writeup was seeing people celebrating the triumph of good over evil in the shape of burning of the world’s tallest (210-ft) effigy of Ravana in Panchkula (Haryana, India) on Dussehra, 2018. Around 30 lacs, 7,000 kilograms of bamboo, 200 kilograms of glue, 600 kilograms of paper and cloth, and 20 quintals of the iron frame were spent for a mere 3-minute burning of the effigy. What do we get in return? An entertaining spectacle for a social gathering at the cost of air quality, high noise levels, wastage of cloth and paper and burning public funds. Read the full post here. What are your views on this content? What are the alternative ways of celebrating occasions such as Diwali, New Years, Independence Day or Lantern Day sustainably?